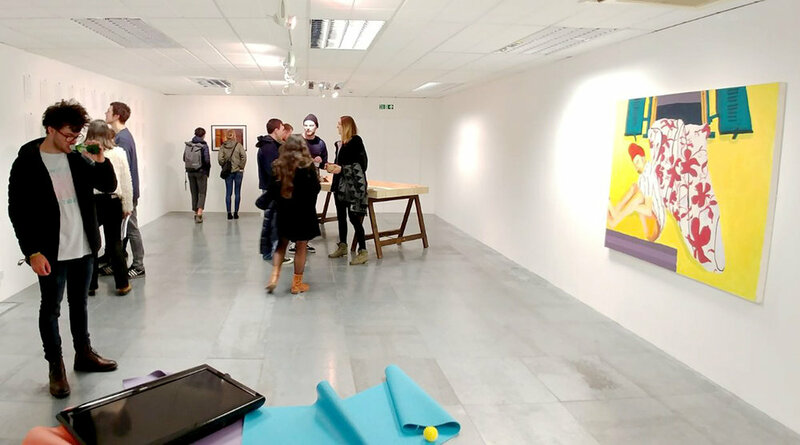 Lungs Project is a non-profit curatorial collective founded in 2016 by MA graduates of the University of Sunderland, the team currently consists of Angela Wingate-Burdon and Sheyda A. Khaymaz. Based in the North East of England, Lungs Project aims to establish a trans-disciplinary platform to promote the work of underexposed artists and to bring together various creative practices throughout the region. The project focuses on facilitating artistic development and network growth by merging visual arts, design, crafts, and literature to create a dialogue between various disciplines. Lungs team use the North East as the heart of the project to reach out to new audiences and to build an ever-expanding support network. With the majority of its founding members having multinational backgrounds, Lungs intends to extend this network internationally with Newcastle and Sunderland serving as the centre for collaboration and exchange. The inaugural issue of Lungs successfully launched in September 2016 with an accompanying exhibition held in Sunderland. Since then, it has sold around 200 copies, and the support and enthusiasm the team received from the North East artists enabled Lungs to become an annual publication. As a result, the second issue is now distributed nationwide, further expanding its breadth and introducing it to new audiences. This year, the publication is particularly concerned with the production of knowledge, and it adopts a curatorial model informed by Deleuze and Guattari’s “rhizome theory”. The issue seeks to explore the dialogical relationship between the pages as well as artworks in the physical world. Hence, the current issue and the accompanying exhibition are both composed of multiple paths of investigation on how we create meaning. The Latin origin of the word dialogue, dialogus, (dia: through, logos: words/meaning) suggests a natural flow of meaning permeates through everything, ready to be extracted. “Dialogus” presents works by eleven artists selected from this year’s contributors, whose mediums span across video, short film, photography, sculpture, painting, drawing, performance, and illustration. 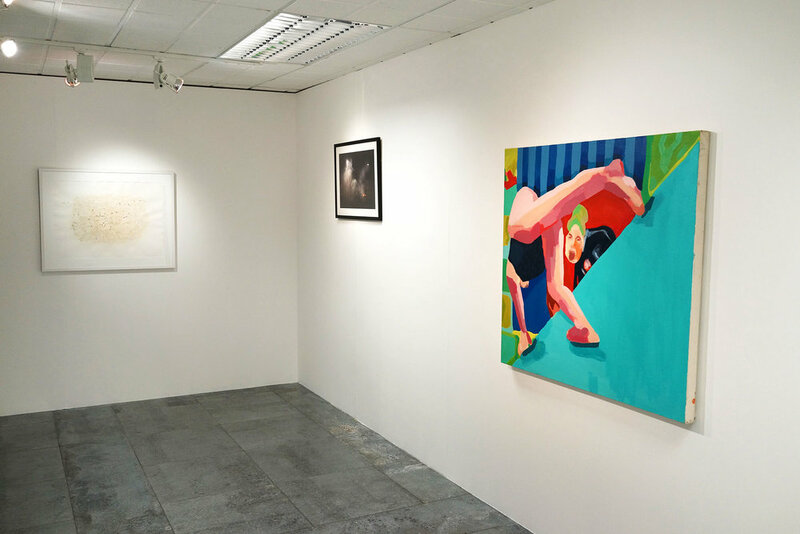 The exhibition showcases the works by North East artists: Amy Roberts, Callum Costello, Emma Bennett, Joe Jefford, Lauren Drummond, Liam McCabe, Mark Chapman, Molly Bythell, Matthew Wilkinson, Steven Lowery, and Zara Worth. The preview also features poetry readings by Newcastle based poets Caroline Hardaker, David Spittle, and Matt Miller. The second issue of Lungs is supported by Sunderland City Council. Joe Jefford utilises digital illustration as a more direct method to address political, technological, and environmental issues. 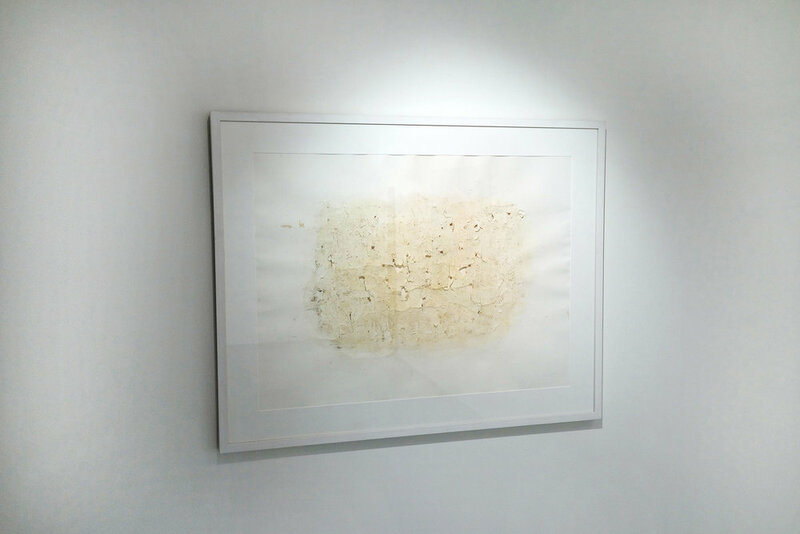 His works are composed of multiple projects which seek to inform and influence each other. He is currently in the early stages of expanding his illustrative work into graphic novel format. Lauren Drummond currently works as an artist in Newcastle Upon-Tyne. Her practice predominately focuses on sculpture, installation, and drawing. She typically creates large-scale wooden structures that demonstrate an interest in the forest environment, its architecture, and playful narratives around the hunter and the hunted. Drummond's work often responds to rural environments from the perspective of a city inhabitant. 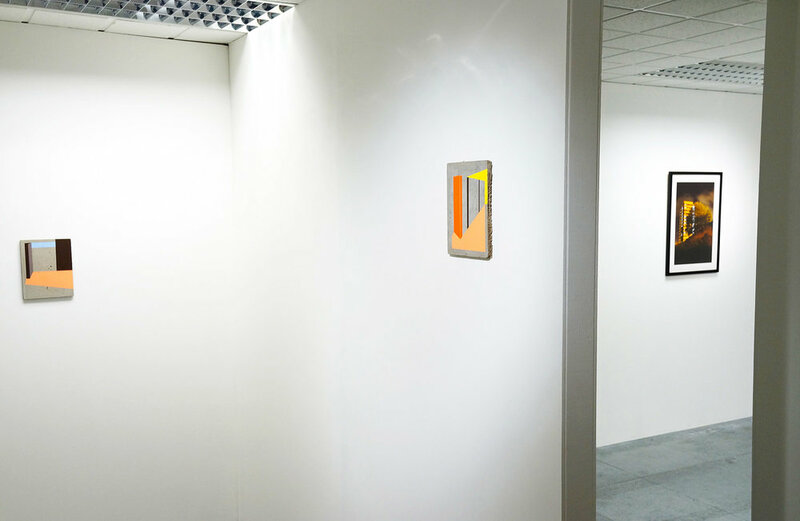 Liam McCabe is a visual artist exploring data, repetition and information overload in contemporary art practice. 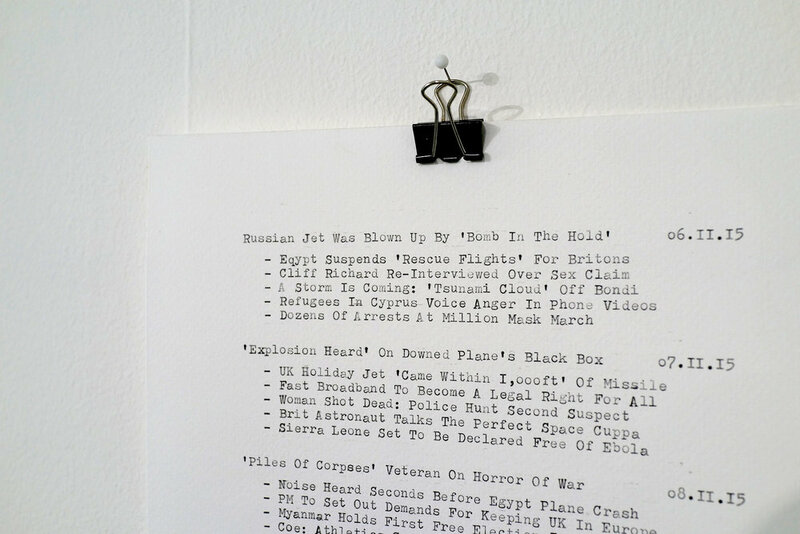 Since graduating from Northumbria University in 2016, with an MRes in Art and Design, his work focuses on alternative facts and post-truths. 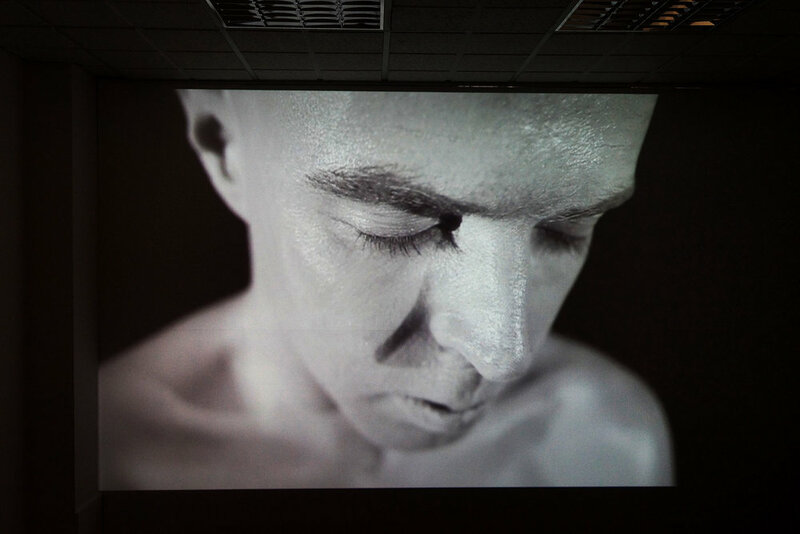 Mark Chapman is a filmmaker and artist based in Newcastle upon Tyne. His moving-image work has been selected for numerous international festivals, and he was one of the participants in the Berlinale Talent Campus at the Berlin Film Festival. He currently teaches film production at Northumbria University, while working towards a PhD exploring creative nonfiction. Matt Miller is a poet and a theatre maker based in Newcastle upon Tyne. He has performed his poetry in the UK and Canada and is currently the Nottingham Poetry Society Slam Champion. Miller has produced two solo theatre shows, Sticking, and Rob Hobson Needs to Talk, and has completed artists’ residencies at Live Theatre and Alphabetti Theatre. In 2014, he was selected as one of BBC’s Verb New Voices, and his poem River Fragments was broadcast on Radio Three. Miller's work often explores themes of place, identity and belonging. Matt Wilkinson’s practice is predominately based in video, photography and writing. Although these mediums overlap, offering their own outlets of expression, Wilkinson does not view his artistry as one with a primary medium. He is a current member of the North East artist collective MILK, project photographer for the Newcastle upon Tyne based gallery Slugtown, and a former studio holder at The NewBridge Project. He is a Fine Art graduate of Newcastle University. Molly Bythell is a painter and recent graduate of Fine Art from Newcastle University. Her work absorbs paint’s supple ability to abstract and reinvent recycled images and targets an unorthodox representation of the body. Focusing on female nudes, Bythell's appetite for challenging certain traditions has resulted in her to paint with an inelegant awkwardness which stems from the stereotype of being a female artist. Steven Lowery received his BA Fine Art at Northumbria University in 2002 and his MFA from Slade School of Art, London in 2005. His rant-strewn drawings are made on lined note paper with cut price stationery, obsessively crammed with scattershot words and images and are fuelled by a desperate dissatisfaction with the mundane distractions offered us. Zara Worth uses current food and lifestyle trends to investigate the cultures and economies of Web 2.0, and the neoliberal condition through hybrid methodologies spanning performance, drawing, new media, painting and object-making. 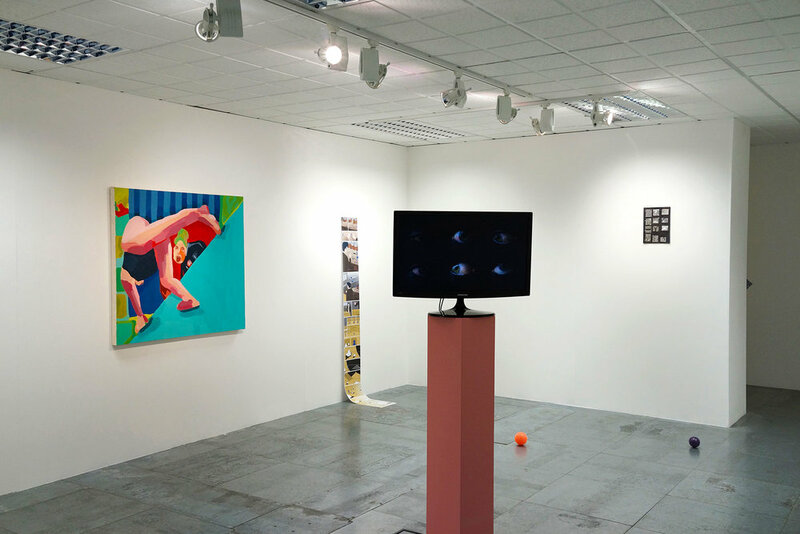 Since receiving a PhD Studentship from Leeds Beckett University in 2016, her practice-led research has focused on exploring how Instagram might be used as a site, strategy and subject for post-internet art practice. She was shortlisted for the Woon Foundation Art Prize in 2013 and received a scholarship from Goldsmiths in 2014 to study MA Contemporary Art Theory in the Department of Visual Cultures. She is currently based in the North East.